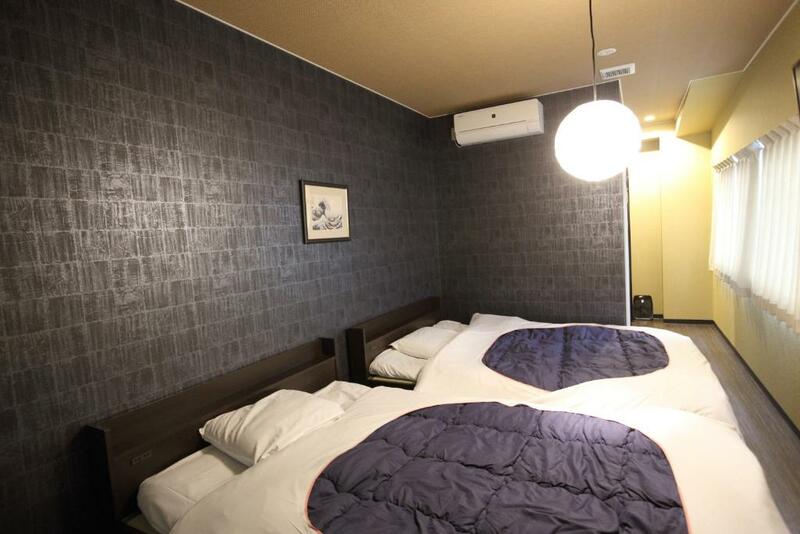 Lock in a great price for Hiroshima Wabisabi Hostel – rated 8.2 by recent guests! extremely friendly and helpful staff. great showers. can do laundry for small fee. can use kitchen and fridge. 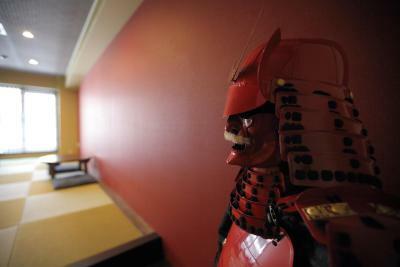 walk out your door and turn the corner and your in historic japan. Hotel was very centrally located, had received a recent remodel, very friendly staff, and had a nice communal area for people to talk (which I didn't avail myself of). The staff is very kind and the location near the station was very helpful. Not so far from the memorial of the peace park and the major turistic sites of Hiroshima. The hostel is very modern, room had all the features but at the cost of space. The staff were very helpful. The hostel is immaculate and clean. I liked how small it was. 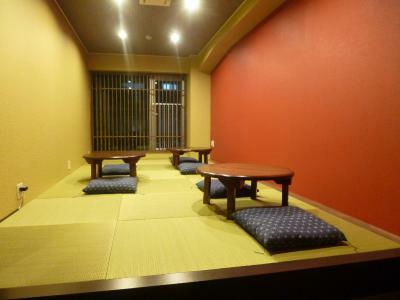 The lounge area has traditional tatami and kneeling tables which I really liked but not so good for those less mobile. I loved how the hostel is environmentally conscious and encourage us to only take amenities which we need. 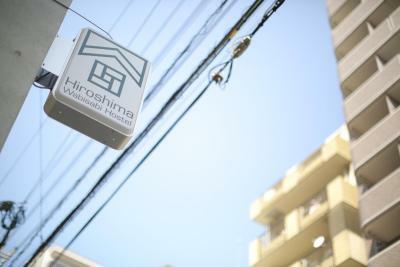 It was a really beautiful hostel, just like the rest of Hiroshima. 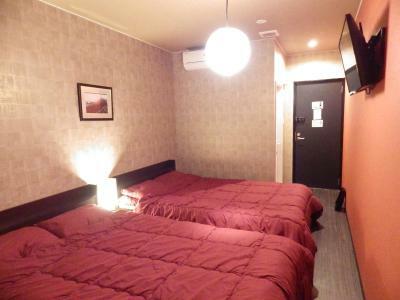 Good location, big room, relatively comfy bed, key card easy to use. Very friendly staff. They spoke good English. Location was considered to be okay, in my opinion, as we could walk from the accommodation to the Hiroshima Shinkansen Station and A-bomb Dome. Both washing machine and clothes dryer were provided at an affordable cost. Came to Hiroshima for one day. Stuff was friendly and helpful, rooms are small but clean, have nice design, equipped with TV and everything that is needed. Location is in the city center. Highly recommended. 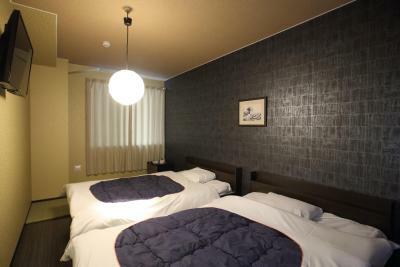 Hiroshima Wabisabi Hostel This rating is a reflection of how the property compares to the industry standard when it comes to price, facilities and services available. It's based on a self-evaluation by the property. Use this rating to help choose your stay! One of our top picks in Hiroshima.Hiroshima Wabisabi Hostel is set in Hiroshima, 0.7 mi from Atomic Bomb Dome and 0.8 mi from Hiroshima Peace Memorial Park. 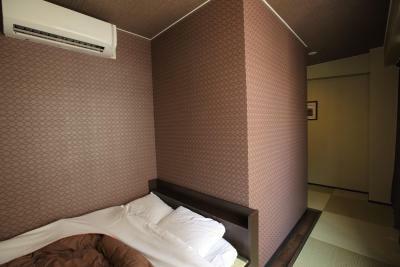 Each room at this hostel is air conditioned and features a flat-screen TV with satellite channels. Each room is fitted with a private bathroom with a hot tub and bath, with slippers and free toiletries provided. There is a shared lounge at the property. The hostel also offers bike hire. 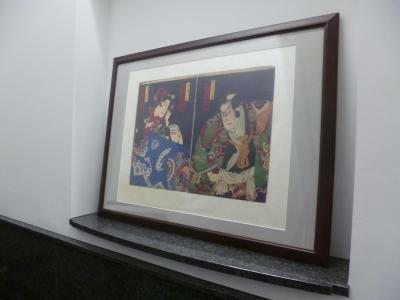 Shukkeien is 1,950 feet from Hiroshima Wabisabi Hostel, while Hiroshima Museum of Arts is 2,950 feet from the property. 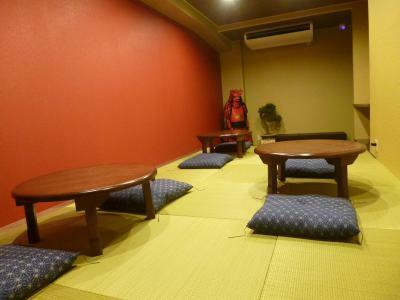 The nearest airport is Hiroshima Airport, 26 mi from Hiroshima Wabisabi Hostel. This is our guests' favorite part of Hiroshima, according to independent reviews. Couples in particular like the location – they rated it 8.0 for a two-person trip. 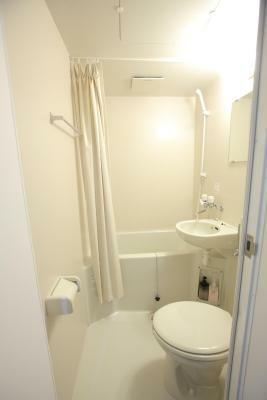 This property is also rated for the best value in Hiroshima! Guests are getting more for their money when compared to other properties in this city. 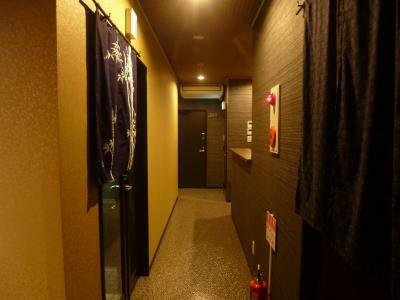 뀐 Located in the real heart of Hiroshima, this property has an excellent location score of 8.3! 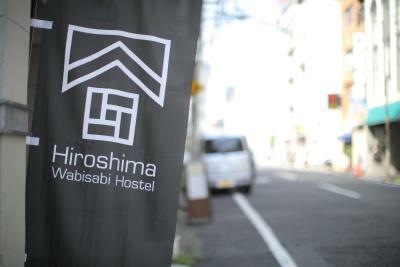 When would you like to stay at Hiroshima Wabisabi Hostel? This twin room has air conditioning. 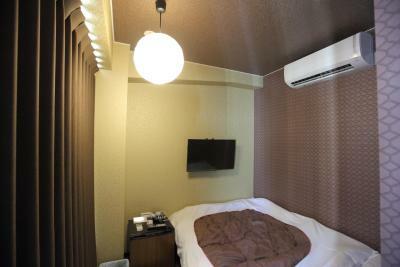 This twin room features a flat-screen TV and air conditioning. Your feedback will help us improve this feature for all our customers. Did you find all the bathroom info you need? 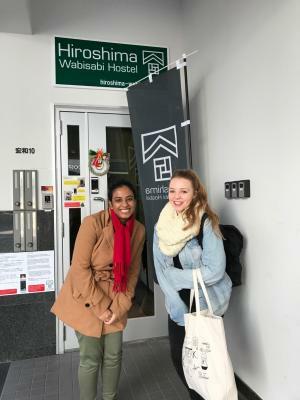 House Rules Hiroshima Wabisabi Hostel takes special requests – add in the next step! Hiroshima Wabisabi Hostel accepts these cards and reserves the right to temporarily hold an amount prior to arrival. Please note that the property does not feature a elevator; guests must use the stairs on site. Please note, the on-site staff is available for assistance to carry luggage. The full amount of the reservation must be paid at check-in. Since the rooms are very small, you might want to sit in the lobby for a bit longer. Sadly the lobby closes at 10 p.m.! You are not even allowed to wash your clothes after 10 anymore. 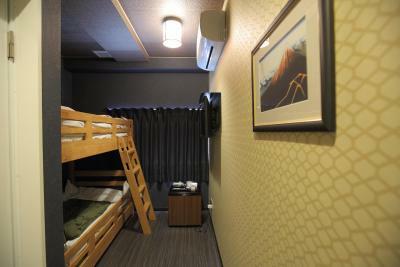 A hostel in central Hiroshima. You can access every tourist hotspot by feet easily. Very welcoming and helpful staff. Good facilities. It was a bit awkward to change shoes every time when using the staircase - considering that my room and the lounge&kitchen were on different floors. I suggest allow wearing slippers in the staircase too. The location is great both for the train station and main attractions. I also loved that the room came with a bath. beds could be improved- or at least the beds in the shoe box bunk bed room. a thin (maybe 1.5" thick) futon that was pact out from many uses. my sister had the 6 pax room and they had more comfortable beds- a thin memory futon on top made all the difference. Maybe some more signage outside would be good although it was not a problem looking for the hotel with the help of Google maps. And they only have stairs. Their desk is already located in the 2nd floor so I had to lift my 2 medium luggage there. And my room was on the 3rd floor. They did help me bringing my luggage up the room. The place does not look much on the outside. But as I entered my room I was surprised that it is actually good. 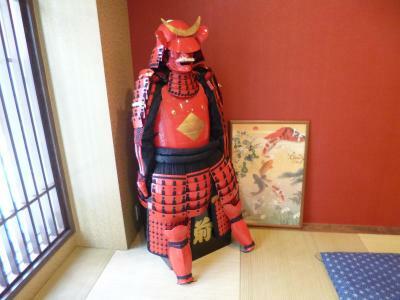 I found it very comfortable that I slept a lot during my stay in Hiroshima. I struggled to get out of bed. 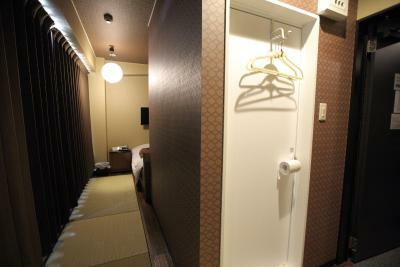 Having been in Osaka and Kyoto prior this, this is the most spacious accommodation I had. Complete bedroom facilities, all that I needed was there. I arrived earlier than my check-in time but they did allow me to leave my luggage in their lounge. excellent location, nearby streetcar station, very clean and spacious room, value for money! The bathroom is quite small and the room was very cold but everything fixed with AC just the time for a dinner. Very good position in the middle between the station and the nightlife neighborhood. I could move by walk to the castle and to the Peace Park. The guy at the reception is very nice, he speaks a perfect English (which is not so common here) and he suggested me some nice things to do and places to visit/for eating. I had a double room all for me with all the comforts I needed. Absolutely suggested. Making beds on top bunk a challenge. However, Kids loved the bunk beds. Great location. Easy to move around. Host and staff lovely. Next door to a geisha district. 10min-ish easy walk castle and garden(s). Wish we could have stayed longer! I loved this hostel! I booked the double room. Before booking, i saw multiple complaints about the room being small, but it was of a decent size. Really clean, great people. Very nice smelling. Comfortable bed. Great price. Really close to the club district and shopping one (basically you go through these to get to the memorial park- fun great promenade). Andy, the manager of the house, is a great host. So helpful! And his collegues Miho and Nana were so nice and answered all my questions about the difficult Japanese language. It was wonderful to stay there. I felt at home. Thin walls meant that we could hear the noise from other rooms or the hallway sometimes but this wasn’t often a problem. The staff were very friendly and gave us excellent food recommendations in the area!